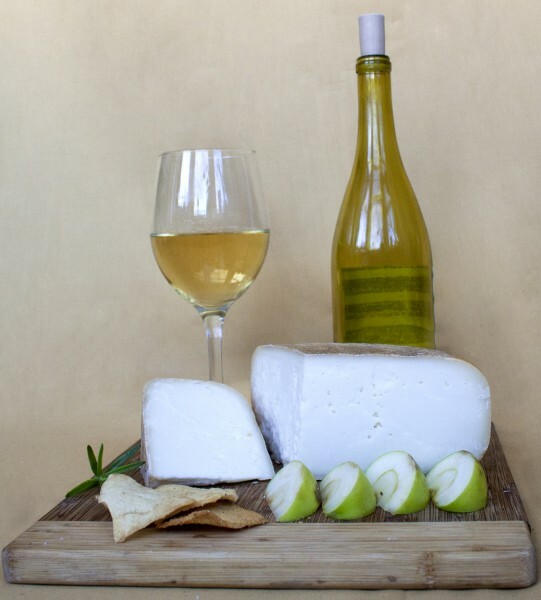 In my last blog post, Notes From the Aging Room Part One, I talked about the term affinage (including why I don’t like it), what it means and where it came from, the current American affinage trends, and some of the history of what I call “off-site” (meaning at a separate location from where the cheese is made) affinage in Europe. In this blog post I will be talking about how we handle aging (my preferred term) at Lively Run, and some of the challenges and opportunities that it presents. Unlike the off-site aging systems that I discussed in the last post, at Lively Run we make and age a bunch of very different cheeses all in the same facilities. As with most things, this is both a blessing and a curse. What can make this very difficult is that the different cheeses all require different aging methods and techniques. 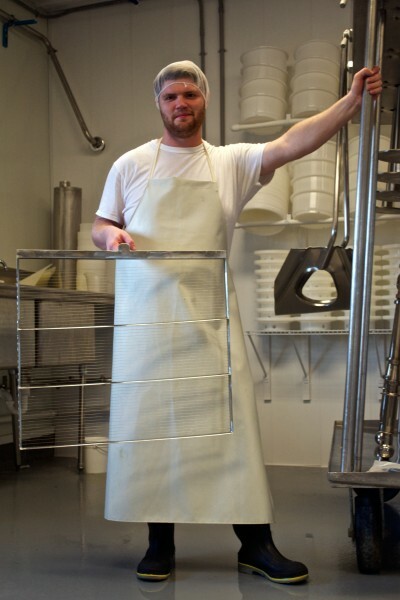 Finger Lakes Gold (our washed-curd goat’s milk hard cheese), for example, needs to be turned weekly. The rind of each wheel needs to be washed with salt brine from time to time in order to inhibit unwanted molds and wash off cheese mites. Cheese mites are tiny, nearly microscopic ubiquitous bugs, like dust mites, that settle on any cheese rind and slowly eat it causing a musty-smelling brown dust. 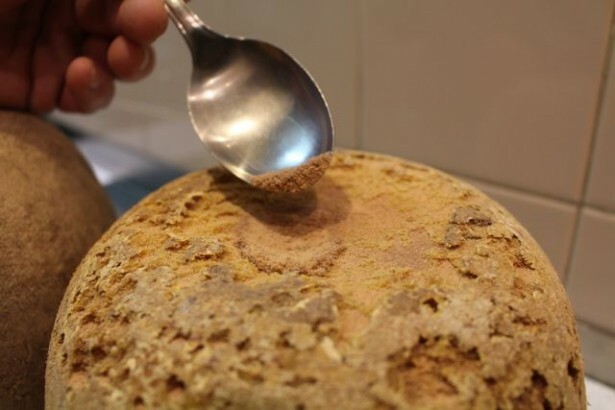 Cheese mites are totally inevitable for any aged hard cheese and can be a real pain. They only way to combat them is to wash the cheese frequently and sometimes to scrape it. Cheese mites are on every piece of aged cheese ever produced. The key is to keep them under control. Cayuga Blue, on the other hand, our semi-hard goat’s milk blue cheese, is a totally different animal. Compared to Finger Lakes Gold, Cayuga Blue is much softer. Because it isn’t pressed, the cheese still has a fair amount of moisture and therefore can’t age for as long as Finger Lakes Gold. So, caring for it during aging is completely different. Another major difference is the fact that it is a blue cheese, and in order for a blue cheese to actually be blue on the inside, each wheel of cheese must be pierced hundreds of times. The piercing allows oxygen to penetrate the interior of the cheese, which allows the blue mold to grow on the inside, as well as on the rind of the cheese. 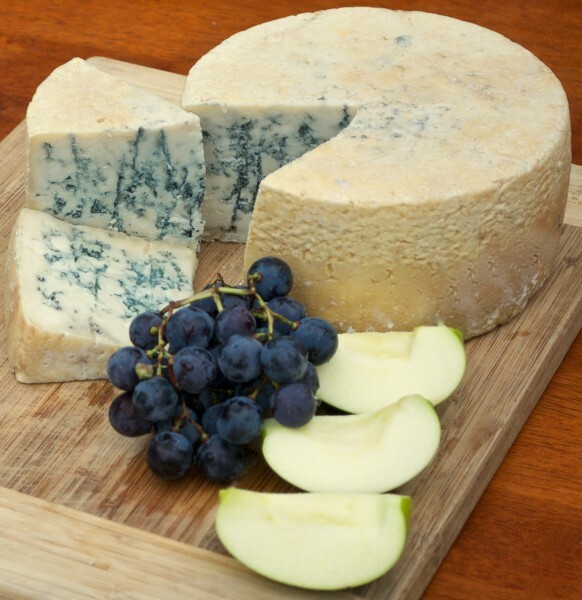 Like Finger Lakes Gold, the wheels of Cayuga Blue have to be turned regularly, but unlike Finger Lakes Gold the rind is never washed with brine, only brushed with a dry brush occasionally. One of the biggest challenges of aging all of our cheese here on the farm is that we have limited aging space. 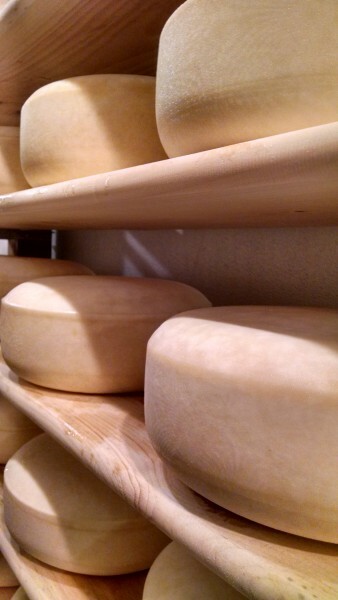 Most of the cheese ages in one big room, which means that molds can cross from one cheese over to another. The most common problem that we have is with blue mold, Penecillium Rouqefortii. Because our blue cheese is aged in the same room as our hard cheeses it is especially important for us to wash our rinds regularly in order to prevent the mold from growing where we don’t want it to. Another problem that we sometimes have is with fluctuations in humidity in our aging room. Ideally we want it to be about eighty-five to ninety percent humidity at all times. However, in the winter when the air is very dry that can be difficult to maintain, so sometimes we wrap the cheese in order to make sure that it doesn’t get too dry. However, even with all of the challenges aging on-site presents, I wouldn’t have it any other way. In many ways, aging the cheese is my favorite part of the cheese making process. I love going through my aging room checking on all of the different batches of cheese as they are coming along and tasting them all to see where they’re at in the aging process. The goal is to age a cheese to its “sweet spot”; the point in time where the cheese is at its peak. 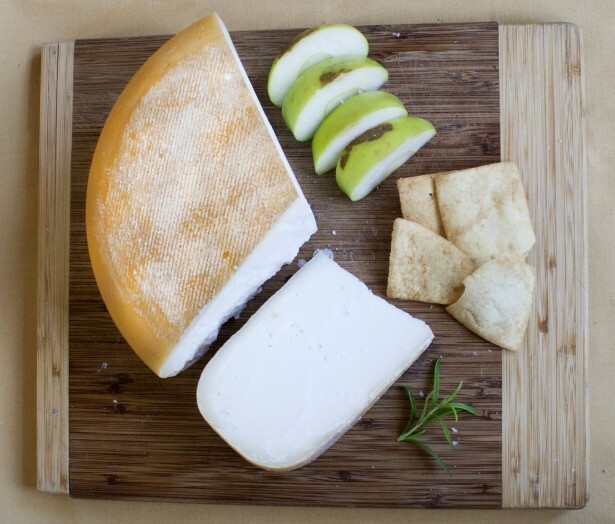 Some cheeses may even have a couple of different “sweet spots”. Finger Lakes Gold, for example, is very delicious, though quite different at both three months and six months old. It’s especially interesting to do a vertical tasting where you can compare the same cheese at different ages. This really shows how the flavor changes over time. The most important thing to me is that our customers eat our cheese when it is at its best, and doing all of our own aging ensures that. As always, thanks for taking the time to read this! Check out our tour schedule to see when you can come to the farm and see our aging room and all of the cheese inside first hand! In the meantime, go get yourselves some cheeses of different ages and do some tasting. If you have any questions feel free to shoot us an email. We hope to see you all soon!